A fully-equipped kitchen is featured in this Disney-area holiday rental along with a private patio. Each bedroom features a flat-screen TV and a dining area is also available. A fitness centre is available to guests of the Wish Upon a Mouse holiday rental as well as a business centre. A games room can also be accessed or guests can visit the basketball courts for a friendly game. 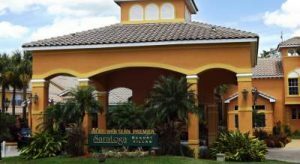 This property is 20 minutes’ drive from shopping at the Orlando Premium Outlets. Universal Studios Florida and SeaWorld are both within 15 miles of the property. This resort spans more than 1,400 acres and is adjacent to the Walt Disney World Resort. River Island water park’s 366 m lazy river, and water slides are 5 minutes’ drive away from villas and suites. Accommodation at Orange Lake Holiday Inn Club Vacations is less than 22.4 km from Seaworld and less than 28.8 km from the Universal Orlando Resort. 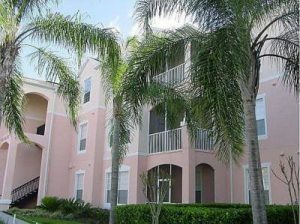 Located in Central Florida, this resort is 15 minutes’ drive from the Walt Disney World Resort and Universal Studios. Features include a heated outdoor swimming pool, a spa, and a restaurant. Free WiFi and a fully equipped kitchen are found in each fully furnished villa at the Best Western Saratoga Resort. A private patio and a flat-screen cable TV are also offered. Theme park ticket sales and concierge services are available to guests of the Saratoga Resort Villas and Spa. A fitness centre and launderette are also on site. Free transfer service is provided to Epcot. Chocolate Kingdom Adventure Factory Tour In Kissimmee FL – Interview And A Look at Their Chocolate! We toured the Chocolate Kingdom Adventure Tour today in Kissimmee, Florida. Guests can take the tour ($15 adults, $12 children 4-12) or peruse the delicious chocolate made on premises in the lobby! We did both. This is our interview with Aileen Schaked, who owns Chocolate Kingdom with her husband Edgar. You can see chocolate creations here, including where guests can customize their own chocolate bar for just $5.00! This city in central Florida is known primarily as being a gateway to multiple major tourist locations, including Walt Disney World and Universal Studios Escape. 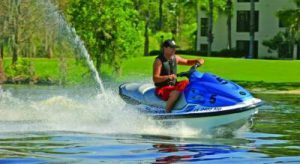 What is less known is that Kissimmee is also a prime location for eco-tourism. Amongst Kissimmee’s 45 designated eco-tourism attractions is Gatorland, also known as the alligator capitol of the world. This park allows guests to see and experience many exciting and educational shows such as: Jungle Crocs of the World, Gator Wrestling, Gator Jumparoo, and Snakes of Florida. Some fascinating places in Kissimmee include the Flying Tigers Restoration Warbird Museum and the Reptile World Serpentaruim. The Warbird Museum contains a history of WWII air battles and numerous restored aircraft. The museum also has flights available in some of the craft (by arrangement). The Serpentarium features a large collection of snakes from all around the world. Kissimmee’s interesting nightlife includes dinner and a show with the Arabian Nights Dinner Attraction, Medieval Times Dinner and Tournament, Wild Bill’s Wild West Dinner Show Extravaganza, and Capone’s Dinner and Show. The city also contains good accommodations to fit any budget. Including nearby Walt Disney World and Universal Studio’s theme park, also easily accessible by car from Kissimmee are SeaWorld Orlando, Cypress Gardens, the Kennedy Space Center Visitor Complex, Splendid China, and Water Mania. Air travelers enjoy the advantages of the nearby Orlando International Airport or the Orlando Sanford Airport, both of which offer flights to cities around the US and the world. Take A Break Holidays takeabreakholidays, Kissimmee Florida.